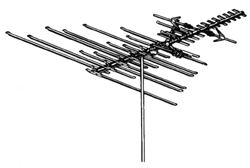 The Winegard HD 7082P is a medium to long range VHF UHF TV antenna. Learn more about the HD 7082P TV antenna. AP series TV antenna preamplifier's are available for even better performance in tough signal areas.